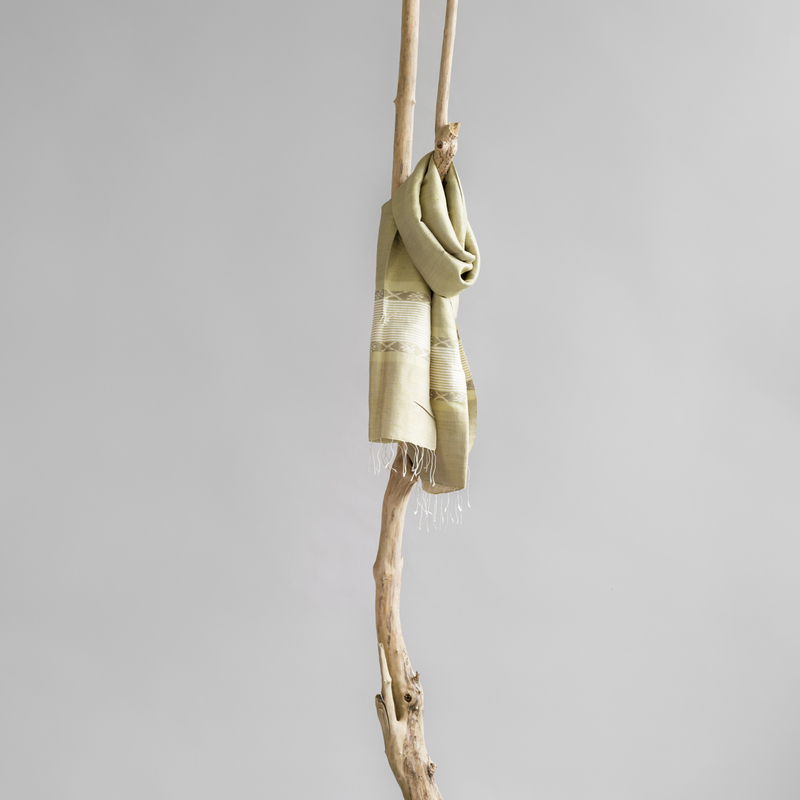 Splendid naturally dyed Fairtrade scarf from raw silk with ikat detail. 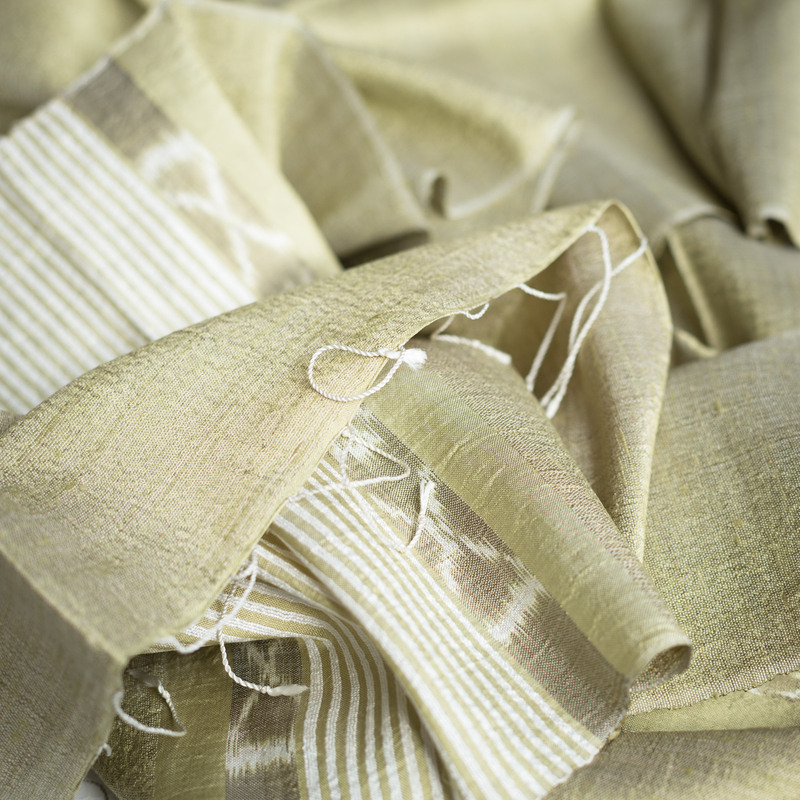 This soft-toned scarf is handwoven by artisans from a small village in Takeo province, Cambodia. The weaving families are working with Craft Village, a local Fairtrade organisation.